Your retirement years are filled with promise. You have more time to vacation, spend with the grandkids, pursue your favorite hobbies — and study for your next test. It’s true. These days, more and more retirees are heading back to school. But aren’t your school days supposed to a distant memory by the time you turn in your office keys? I’m glad you asked. They don’t have to be. And for some people, going back to college in retirement is the perfect way to expand their knowledge base and social circle at the same time. Barbara Lane and her husband, Ed, are a great example of this very concept, according to a CNBC story. When the Lanes retired to the Berkshires from New York City, neither envisioned a “traditional” retirement. “Ed and I have never seen ourselves as the kind of people who will move down to the warm weather and play bridge and tennis for the rest of our lives,” Barbara said. She sought out local classes for retirees at Berkshire Community College while Ed separately pursued his master’s in business administration. Today, Barbara takes classes at the Osher Lifelong Learning Institute at Berkshire Community College where she also serves as a board member. Ed, a former consulting actuary, teaches finance and economics as an adjunct professor at other colleges. Now, that’s what I call happy retirees. In my book, You Can Retire Sooner Than You Think, I explore the value of engaging in hobbies that you love (which I call “core pursuits”), and that bring you ultimate happiness. I detail how happier folks tend to live longer, healthier lives. Two of the most critical components to happiness include core pursuits (or hobbies-on-steroids) and social engagement. Going back to school to either pursue a new degree or just to explore a new subject of personal interest is a great way to find new core pursuits and make social connections. That’s why so many Baby Boomers are heading back to school later in life. Universities support this trend. Many now offer programs such as lifelong learning institutes geared primarily to retirees. A few colleges even provide housing for retired students! With these offerings, you can attend class for a fraction of the typical college tuition. Some colleges and universities even offer retirees tuition waivers or allow you to audit classes for free. Others provide online education programs and video lectures as a low-budget option for learning. There’s more good news – if you have money left over in a 529 college savings account that you established for your kids, you can use these funds to pay for your own classes, even if you’re not pursuing a specific degree or certificate. Another funding option is to take a part-time job with a company that offers free tuition benefits. Companies like Starbucks and Walmart have such perks. No matter how you do it and no matter what you study, the major benefit of going back to school is the rich social connections you inevitably form. And you don’t have to limit yourself to simply attending classes. Like Ed Lane, why not teach a few courses in your particular area of expertise, too? Many retirees have found adjunct professor jobs to be an enhancement to their retirement experience and a nice source of supplemental income, too. If you live near Atlanta, take a look at the Emory Continuing Education Program. It offers classes that span everything from human resources, business writing, art, science, home and garden, and myriad foreign language and computer software classes. There is truly something for everyone there. So, what do you think? Are you interested in learning a new skill, craft or language? Or, are you looking for ways to expand your base of core pursuits? 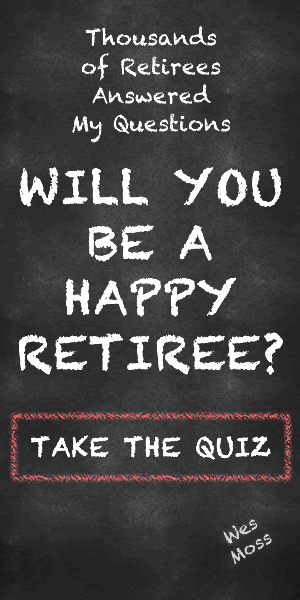 Either way, taking classes during retirement is the perfect way to give your internal interests some energy. You jog your brain and keep it sharp by learning new things, and you make friendships along the way that enrich your social circle. That degree or certificate you earn? Well, that’s just icing on the cake.